If you like a short range face shot, try this. 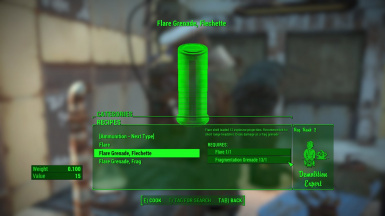 Adds a new creatable/switchable/destructible flechette type flare gun ammunition. Flare shell loaded 12 explosive projectiles. Deals dammage as frag gredade, is not overpowered. Inspired by Fallout New Vegas 40mm grenade launcher flechette ammo. Add a 3 type creatable/switchable/destructible ammunitions. Able to make these the chemistry station. Flare frag exelent choise faraway target. But if you shot flare frag nearby enemy, the detonation kill you too. Flechette flare shell loaded 12 small explosive projectiles. Recommended short range headshot, because nearby small detonations can't hurt you. 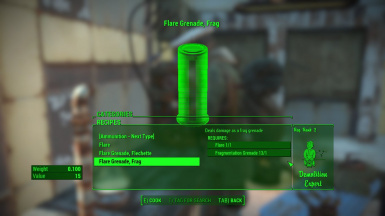 Flare frag and flare grenade flechette dammage as fragmentation grenade. Incresed spread and explosive area for more realistic experience. 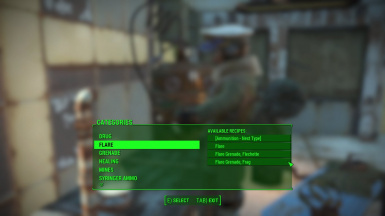 All types of flare ammunition now is destroyable. Explode itself when anybody hit these or shot these. 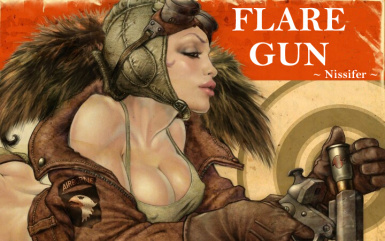 HOW DO I GET A FLARE GUN? Completed the quest The First Step for the Commonwealth Minutemen. 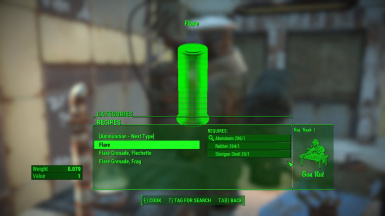 You get a flare gun from Preston Garvey. It's a very simple. Just use NMM. Download my mod with NMM and activate this. 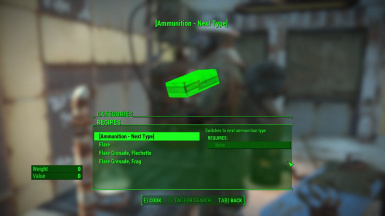 Modify other ballistic ammunitions (10mm, .38, etc.) explosive dammage to short range friendly. - For the flechette flare displayed dammage in the invertory is not correct. Just a displayed dammege, real dammage is ok.
- Small explositions little bit oversmoked. Thank you for the a downloading!